While touring the tasting room at Cornucopia, we discovered 3 new BC Wineries! Wine maker and owner Jay and his wife Wendy were pouring their delicious, crisp sparkling wines during the festival. With experience working with La Vieux Pin and La Stella, Jay decided he wanted to break away to focus on making bubbles, and bubbles only. 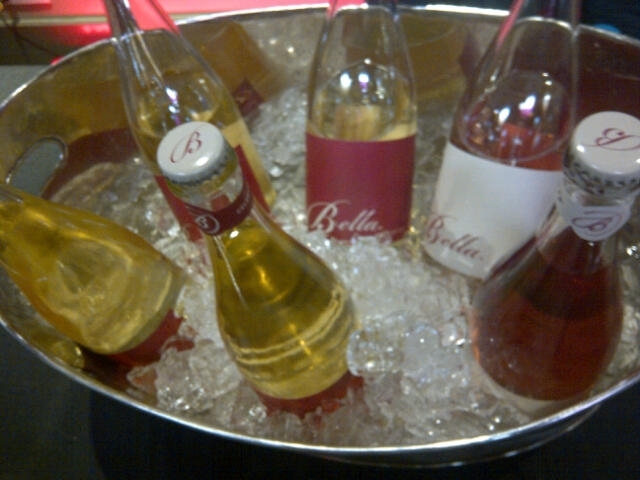 Bella, named after their dog, will feature crisp, sparkling wines focusing on celebrating- today. Their new tasting room on Naramata Bench is set to open to the public in spring, 2014. After over 20 years of farming grapes and selling to some of BC’s top wineries, this family decided it was their turn to turn these quality grapes into something for all to enjoy. 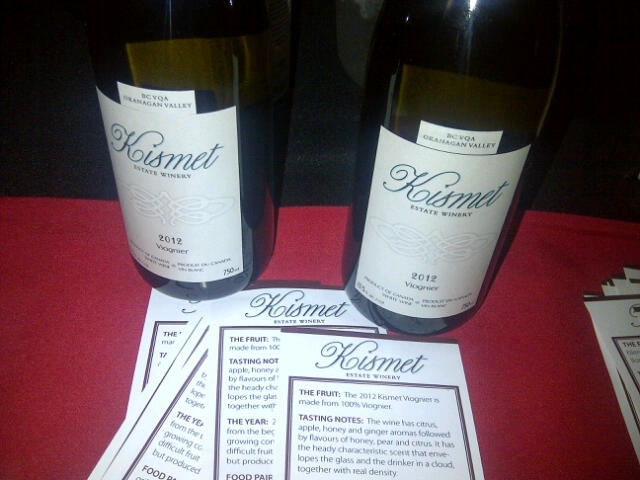 Kismet, meaning ‘destiny’ in Punjabi, is a brand new winery set to open in Oliver, BC in Spring, 2014. This family-run winery will focus on hand selecting their grapes for their wines. 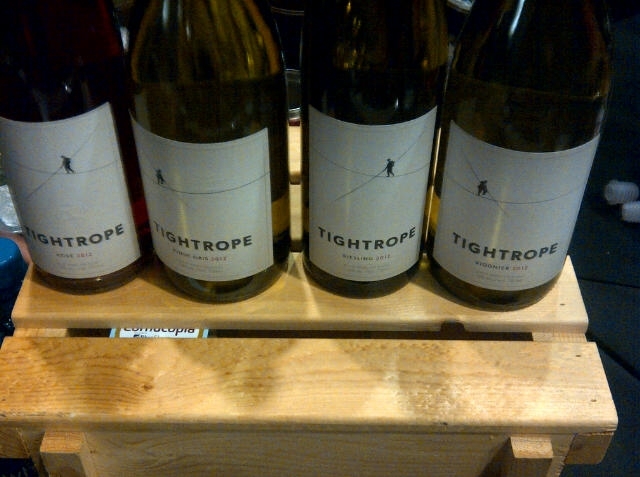 Tightrope is a new winery in BC. Owners Graham and Lyndsay know exactly what kind of wine they want to make and are doing so while walking the line with no safety net, balancing all aspects of winemaking. They already have an award-winning Pinot Noir but I would watch for delicious whites from this winery. No tasting room is planned to open, but you can purchase their wines at select wine stores in BC. This entry was posted in BC Wine Country, Event Coverage and tagged BC Wine, Bella Sparkling Wine, Cornucopia, Kismet, Tightrope Winery by uncorkbc. Bookmark the permalink.